Where There's A Meal, There's a Way - Sunshine in a Glass - GOING NATIONAL! Sunshine in a Glass - GOING NATIONAL! Its official! 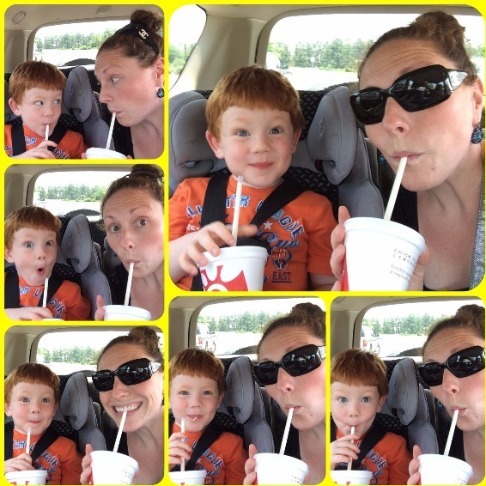 The Chick-fil-a Frosted Lemonade has gone national! As of March 16th, the new treat that was being tested at select stores has gone on menus across the country. Even though its not quite summer, this definitely gets me warmed up for prime weather and days spent out in the sun. ​Well, today's post is short and sweet, much like the new delicious treat from Chick-fila (short because you'll finish it in a flash, trust me). 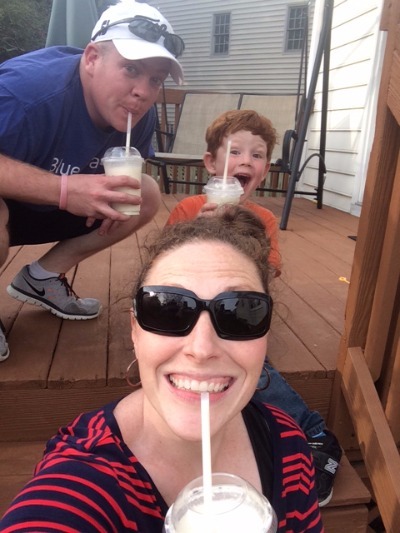 Their "Frosted Lemonade" is not to be missed! 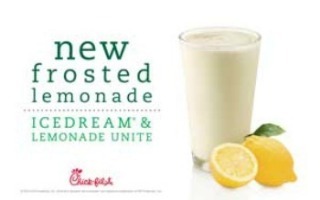 A "Frosted Lemonade" is simply Chick-fila lemonade and Ice Dream (yummmm). It only has 330 calories but as you can see, me and Tucker get them to spilt ours into 2 seperate cups, making it a 165 calorie treat! Seriously?!?! I'm an ice cream aficionado (have I mentioned that I used to weigh over 250 pounds, so yea...I love ice cream) , and this little treat is both low in calories, and high in delicious summery flavor, (a rare find). So drop that silly 100 calorie snack pouch and go share one of these with a friend. Searching for a healthy low calorie milkshake that doesn't taste like snot? Where there's a meal, there's a way! ​We have found our summertime special treat! Bliss. Obsessed with this! I LOVE THEM! All the satisfaction of a milkshake too! I just found out from a Chick-Fil-A insider you can request a shot of Strawberry to make it a Frosted Strawberry Lemonade.....and the goodness just keeps on coming!